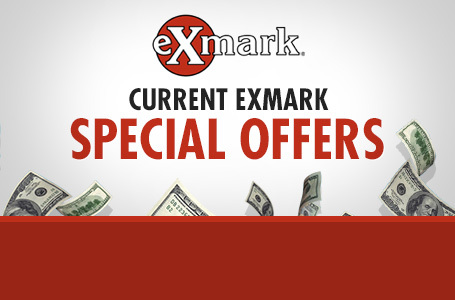 The Exmark Signature Cut: The cutting deck is a full five inches deep, delivering a consistently great cut whether you’re bagging or mulching. Easy On/Off Bag Design: Easy on/off bag design eliminates the need for levers and doors. The top fill feature allows the operator to check how full the bag is during operation. Patented Front Height Adjustment: Innovative, simple and built to last, our patented front height adjustment eliminates the need for pivot-style adjusters. The single-point rear height adjustment allows the operator to quickly change the cutting height. Wear Strips: The X-Series is equipped with wear strips for improved durability. Drive Tires: 9" x 2.5", semi-pneumatic. Safety Package: Blade Brake Clutch (BBC). Speed: 0.0 mph to 4.2 mph (6.6 kmph) forward. 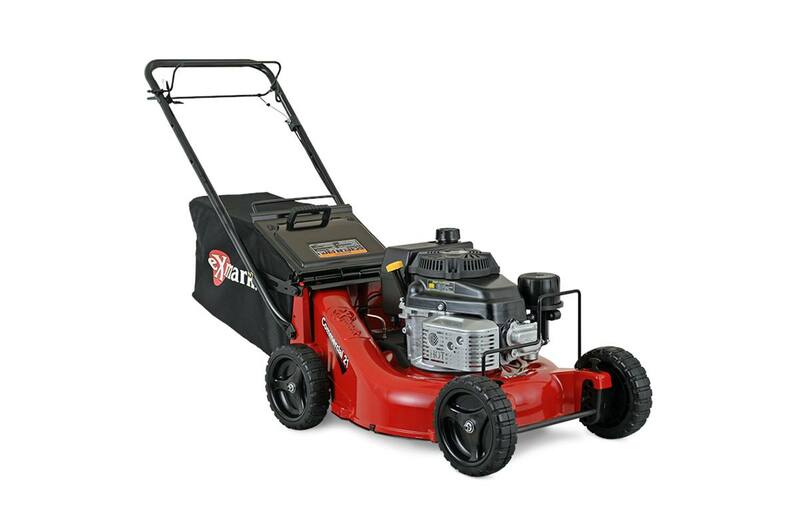 Drive Description: Self-propelled; rear-wheel gear-driven. Fuel Capacity: 1 gallon (3.8-L). Deck Style Description: Fixed deck, Rear-discharge bagger and mulch plug standard. Bag Capacity: 2.5 bushels (20 gallons). Deck Construction: 5" deep, 1/4"-thick die-cast aluminum. Width / Cutting Deck: 21"
Cutting Heights: 1.0" (2.5 cm) to 4.5" (11.4 cm) in 0.5" (1.3 cm) increments. 9 in. x 2.5 in.